ScreenStepsCreating Support DocumentationAdministering Your Account Managing SitesHow do I make a site public? 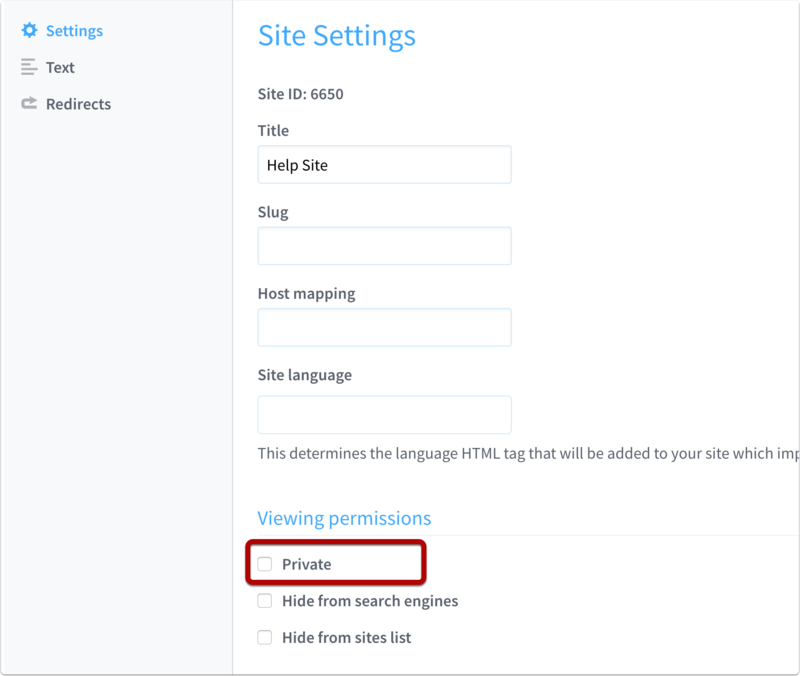 The article will show you how to configure your site so that users aren't required to login before viewing your help articles. Private sites always require a secure connection. For public sites you have the option of requiring secure connections. Check the Require SSL (https) connections checkbox if you would like to enforce secure connections to your public site. Next: How do I make a site hidden from search engines?